Haiti on Ice, as much anticipated as it was postponed, was finally put on for a run of four nights. The event which was originally planned for November of 2012, hit over twelve brick walls, ranging from a hurricane to the inability of the ice machine to function optimally in the hot climate. 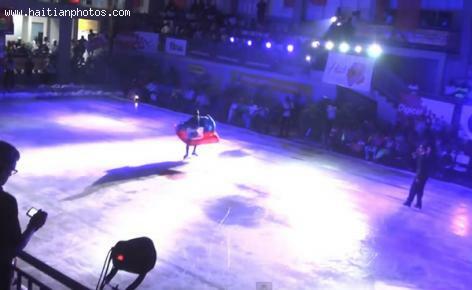 The team from Guadeloupe that put on the show was finally able to put on a 50 minute show which included performances from skaters from across the globe.